Thank you for visiting ASERO Enterprises, Inc. We are a multi faceted company offering many services to take care of your welding and maintenance needs. 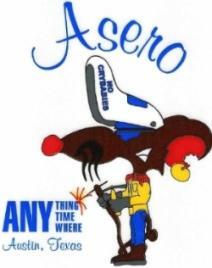 ASERO was established in 1989 as a mobile welding business in Austin Texas. Our client base has progressively expanded over the last twenty-five years and we now offer services for Mobile Welding as well as In Shop fabrication and repairs. We also offer an entire division dedicated to Plant Maintenance and Construction. In October 2008 ASERO opened our Steel Sales division for the sale of steel to the general public as well as our many commercial clients. Please take a moment to explore our site and feel free to contact us with any questions.